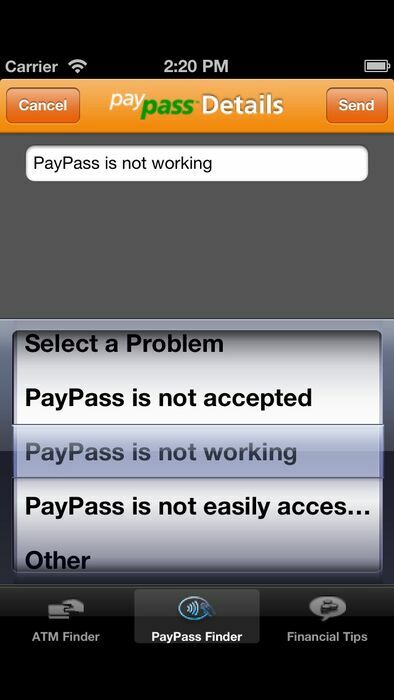 The latest addition to the application also allows you to search for PayPass accepting merchants nearest you. Now you can find a store as quickly as you can pay using PayPass, helping you to get on with your day. 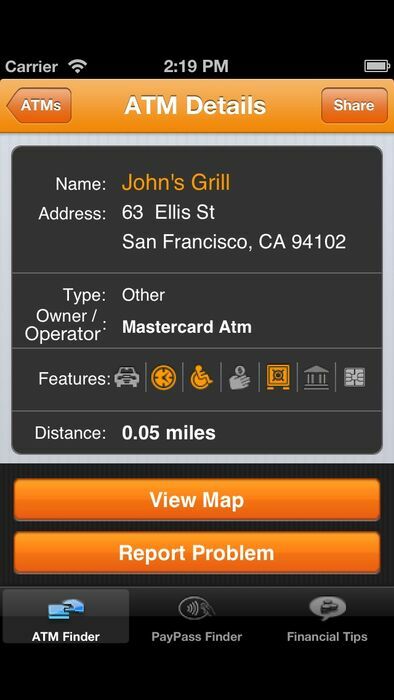 Finds ATMs based on your current location. 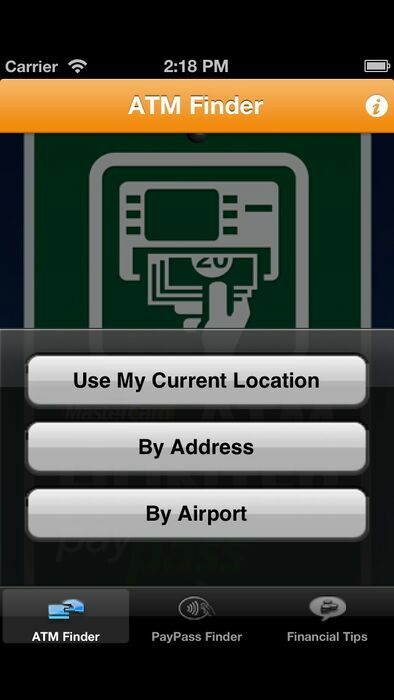 Find ATMs based on any address or airport location in the world. Tells you whether an ATM is a bank ATM or an ATM in a local store, as well as exactly where it’s located, i.e., at a store, gas station, etc. Locates your own bank’s ATMs when you want to make a deposit or a withdrawal. Locates merchants who accept PayPass. 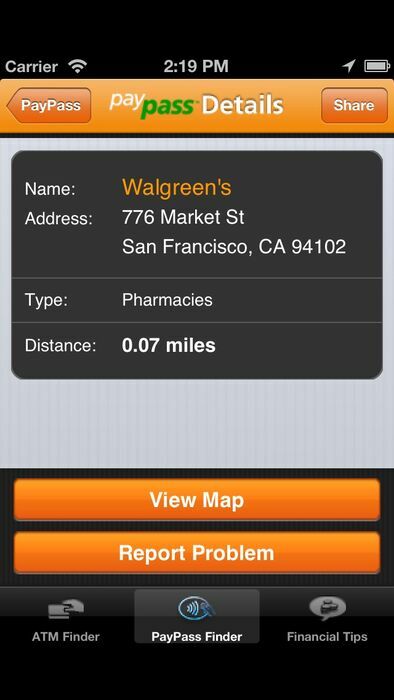 Provides you with the distance between your chosen location and the closest ATM or merchant who accepts PayPass. Provides you with driving directions and a map to the nearest ATM and PayPass acceptance locations. 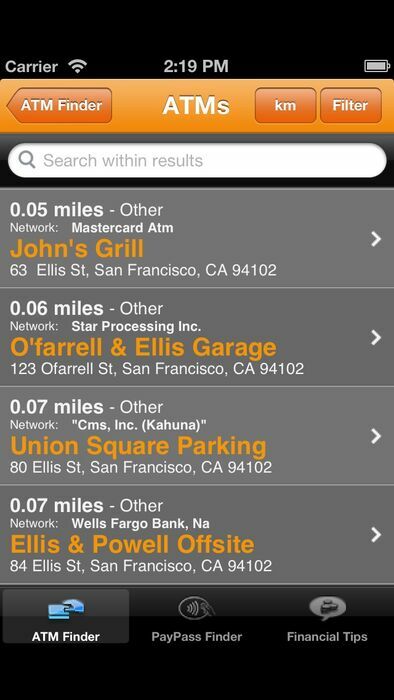 Filters your ATM search based on the following features: Drive through, 24-hr. service, wheelchair accessible, surcharge fess, and deposit sharing. Filters your PayPass search based on the type of merchants you need: convenience stores, fast-food restaurants, retail, transportation, automotive, and more. Allows you to share ATM and PayPass locations with others via SMS. Gives you helpful tips on how to be smarter with your money and safer at ATM locations with the click of a button.